I identify with the feelings evoked in this film more than just about any other. It is simply the most original and perfectly cool take on unrequited love as a theme that has ever been put on film. "I hate her crooked teeth. I hate her 1960s haircut. I hate her knobby knees. I hate her cockroach-shaped splotch on her neck. I hate the way she smacks her lips before she talks. I hate the way she sounds when she laughs. I HATE THIS SONG!!" I just had to watch dirty, funny Phil in light of the Philip Seymour Hoffman Blogathon. He is great here, and ultimately makes a so-so movie quite great. "When I'm makin' out with a girl for the first time, I like to give her a little spankin'." Since I picked this one, among many other bloggers, for Thursday Movie Picks last week, I just had to re-watch it. I need this on Blu-ray so bad. Yes, Drew, I re-watched this for you in honor of our conversation for Four Ways a Best Picture 2007. It is astoundingly beautiful, as both a film and a narrative. It is a great film. No, Drew, it is not better than No Country for Old Men. "How old do you have to be before you know the difference between right and wrong?" My wife, out of nowhere, got on a Christopher Nolan kick. I had to oblige. Week before last, we did The Prestige. This past week, it was this one, such a perfect thriller. Now, we're onto The Dark Knight Trilogy. "You getting any sleep, detective?" In the nick of time for the conversation on this film for Four Ways a Best Picture 2012 (forthcoming), I watched this one, really for the first time. I had watched it before, but I didn't really watch it (I fell asleep and thought I hated it.). As it turns out, I like this one quite a bit. It is a beautiful animated movie and a great almost game-changer for the Disney Princess genre. What a beautiful mess this movie is! I've been trying to get into Denis Villeneuve for the past year, and I finally started with this one, a twisty mystery of haunting family secrets, it follows a set of fraternal twins (brother and sister) as they honor the last wishes of their dead mother, unraveling her devastating past in an unnamed Middle Eastern country. This movie is a shockingly gorgeous piece of cinema, but it bites off a bit more than it can chew as far as what it wants its audience to believe. It just doesn't add up. 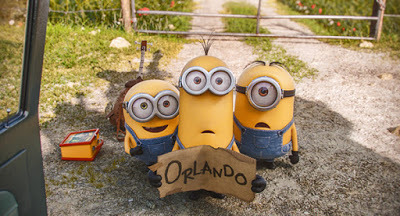 Minions is a stupid movie that is just not very funny. And I'm not the audience. Read my full review by clicking here. Trainwreck is a supremely funny movie that tries to be an original take on the rom-com, but it doesn't quite make it. Read my full review by clicking here. I have seen 133 movies so far this year. 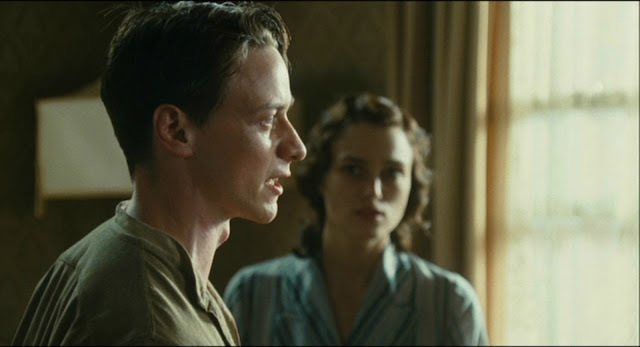 Well, I'm glad that you rewatched the masterpiece that is Atonement...but I'm saddened that it was only 'a good film' to you. TEARS!!! Ew at Incendies. I wanted to like that one, but I remembered Tweeting Josh after I saw it and asking him with the kid's father looked like he was the same age as them (like, what?) and like you said...it just doesn't add up. Atonement is more than a "good" film. I said "great" up there. But it still wouldn't get my vote for Best Picture. I totally see why it was up there. but it is not the Oscar winner that year. Don't be sad. It is seriously a beautiful film. Nothing will change that. Incendies was amazing to look at, a bit hard to follow at times, and just plain non-sensical in the end. I like the idea, the darkness of THAT twist, but it doesn't make actual numerical sense to me. You had a good month! I love a lot of these films. Thanks. Yeah, those re-watches were mostly my wife. She was on it these past couple weeks.